May we all embrace our differences. May our hearts be filled with Love, Joy and Peace. May we look at each other and see our beauty, truth and divinity. The month of December marks the end of another year. This year, it has become more and more evident that what the world needs now is “Peace” in the minds and hearts of all people. Help me pray that this becomes a reality sooner rather than later. 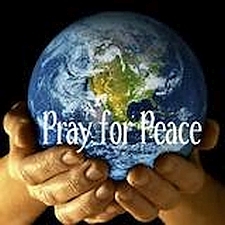 Join me in taking a minute to recite an Interfaith Prayer for Peace by St. Francis of Assisi. Let us envoke God’s Love, through this prayer, for peace in the world. I pray that you and the people close to you experience a joyful and peaceful New Year!